After following the Kickstarter campaign and watching this game grow, I could not have been more excited when I found out I was going to be reviewing Friday the 13th: The Game. I’m a huge fan of the movies and longed for a game worthy of being associated with these cult classics. The second I turned it on I was greeted with some nostalgic 80’s TV style publisher and developer logos, which were accompanied by tinny sound and the bad quality you would find on an old home video. The scene was set and I was ready for things to get real scary, real fast. Sadly, this excitement never came to fruition. The premise of the game is nice and simple; just like the movies’ you are witnessing Jason as he tries to kill some poor teenagers. But this time you get to play it out, and in Friday the 13th you get to be either an escaping counsellor or Jason, hunting them down. This idea is beautifully simple, but comparing it to other multiplayer titles where you have a huge roster of game types, you quickly realise that having only one objective is going to get boring and repetitive, especially when you realise there are a total of only three maps. 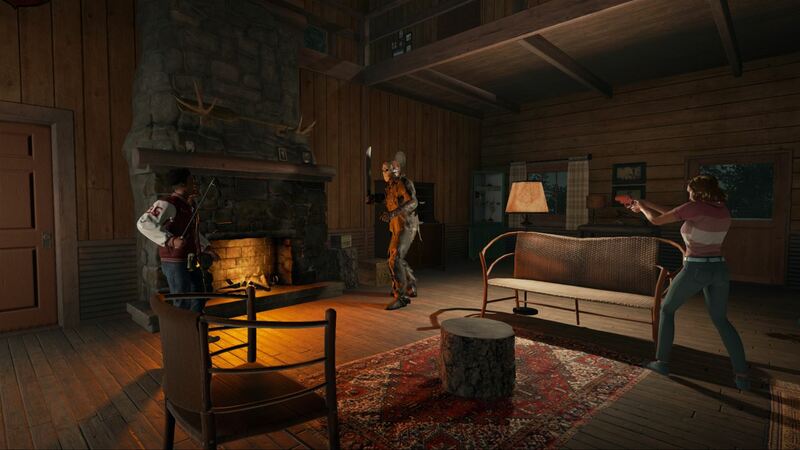 At the beginning of each round you get to choose your counsellor which, as well as being able to change them aesthetically in terms of clothing, can add a variety of perks to help you escape. Each counsellor also has his/her own stats – they can either hinder you or make your chances of escape significantly better… nobody is perfect. These include amendments to composure, speed and stealth, along with some others. After a few games you will soon realise what play style you prefer and can pick accordingly. These skills can be upgraded and more can be acquired by playing the game, gaining CP and spending your well-earned points. This level of customisation can also be used when selecting your Jason. 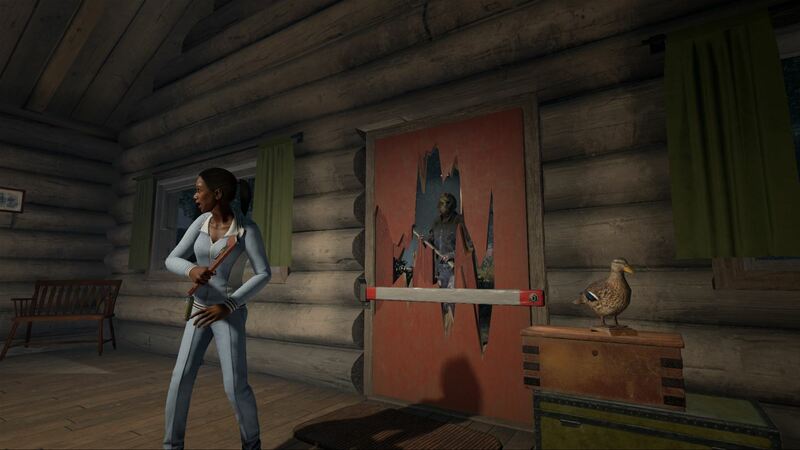 You can choose different, classic Jason’s from the franchise as well as being able to upgrade your kill selection. These can be, for example, as simple as a choke kill when you edit your non-weapon choices to something as brutal as the jaw rip! You also have a variety of new weapon kills too, just to keep you entertained no matter what. Then finally came the gameplay, or sadly, the lack of. Friday the 13th: The Game has the longest load times I have EVER experienced in a video game. I had to wait almost 10 mins every time I selected “quick play” so I could play a standard game, which is just ridiculous in this day and age. Sometimes it didn’t even load at all so I had to quit, which took another good minute, before then trying again! When I finally made it to a lobby there were usually not enough people to play – no doubt the many others had the same issues as me. Eventually when I did get into the game, more times than likely, it cut out due to a “server error”. So I was beginning to lose my patience before I’d even managed a solid hour of gameplay. Not a good start. When you play as a counsellor, which is more likely than not as this is randomly selected at the beginning of the game, you have a few ways to play. 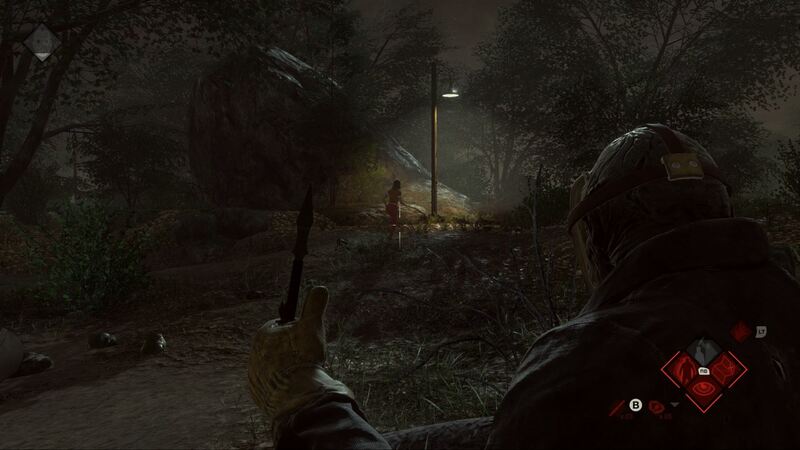 You can just straight up hide for the entire 15 minutes of the round and hope Jason doesn’t brutally murder you, or you can try to escape in numerous ways. Each one has a series of items to collect to enable it, for example, you can escape in a car but you and your fellow counsellors have to communicate – so hope you have a headset – as you try to find the engine, keys and gas to get away. This would be fun if it wasn’t for the fact you have to search EVERY NOOK AND CRANNY to potentially find something. I’d like to think it would be tense, knowing Jason can hear you rummaging away through draws and outhouses, but after only the third or fourth time of doing so it becomes tedious. Really tedious. Things do change when you are, finally, Jason though. Using perks such as superior hearing and superfast movement, you can make your way through each map just knowing that everyone is terrified of you and doing everything in their power to not be seen. This is made all the more satisfying when you hunt down your prey one by one, killing each counsellor in more brutally and gruesome ways than the last, all until you are crowned victorious. When it comes to choosing games you usually sacrifice some graphics for a 100+ hour game or you suffer the opposite – incredible visuals, but a shorter game. Sadly, Friday the 13th has sacrificed everything. It is a multiplayer only game with far too few maps, one game type and terrible graphics. It is just a bit of an eyesore from the get go. The character facial expressions are like something out of the new Mass Effect, the texture pops-ins and loading times are abysmal, and after a few minutes you feel like you’ve seen the entire map. This isn’t helped by nearly every time I’ve played the game, it has glitched continuously. I got stuck in a tree trunk during one game and couldn’t open an unlocked door in another, trapping me inside a building. 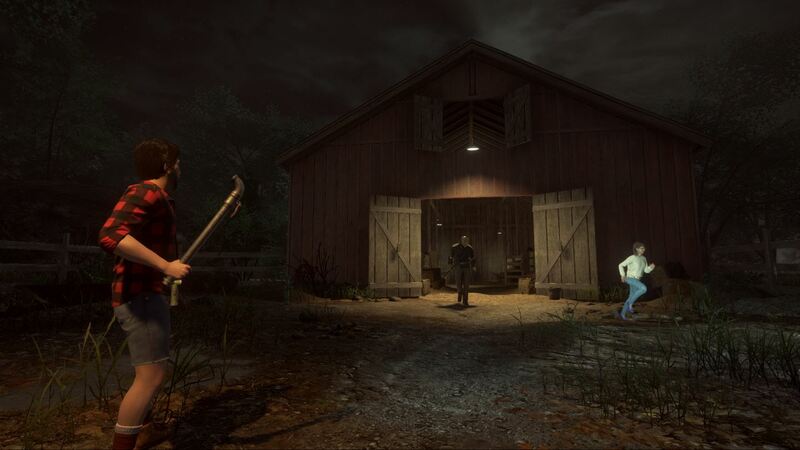 It’s very sad to say that Friday the 13th: The Game, after all the hype and excitement of a game that could have truly represented the incredible franchise, is the most unstable, unreliable and underwhelming game I’ve played in a long time. I’m very shocked that Microsoft haven’t taken it off the Xbox Games Store until these issues are fixed as they are no doubt losing a significant amount of players by the hour! It is a game that may be fun for a couple of hours tops, but then you feel like you’ve seen and done everything, leaving you with a game that is far too slow, graphically stuck in the past and just isn’t finished. Sorry Friday the 13th, the day isn’t bad luck. You are!